Water permits like this form the basis of California's water rights system that dates back to the Gold Rush and has kept no shortage of lawyers employed. Carlos Miramontes plants new landscaping in Mountain House, California. As a master-planned community, Mountain House has a mountain of debt that they can only service by building more homes – despite their uncertainty of their water supply. 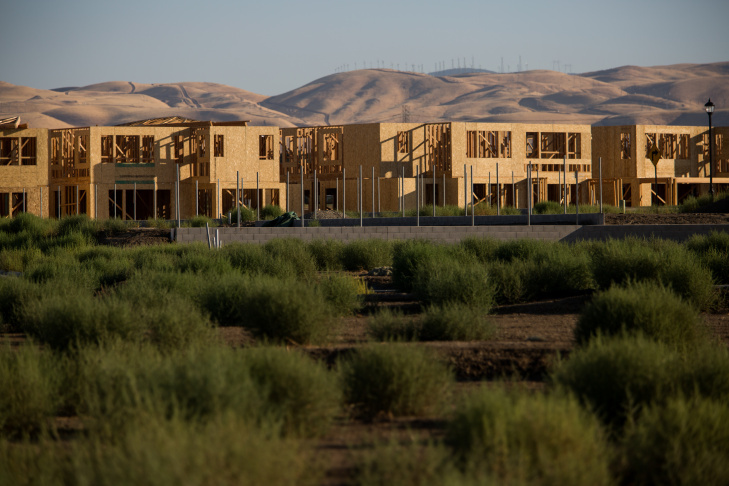 New homes under contruction in Mountain House, California. As a master-planned community, Mountain House has a mountain of debt that they can only service by building more homes – despite their uncertainty of their water supply. 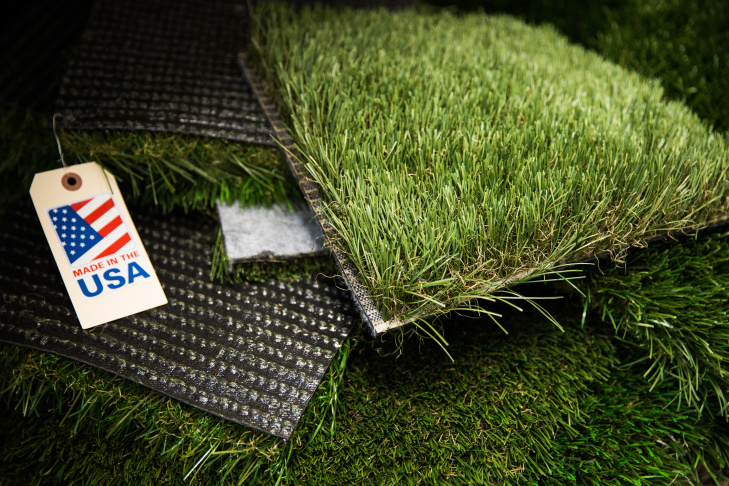 Artificial turf samples sit in the office of Mountain House operations and maintenance superintendent Doug Louie. 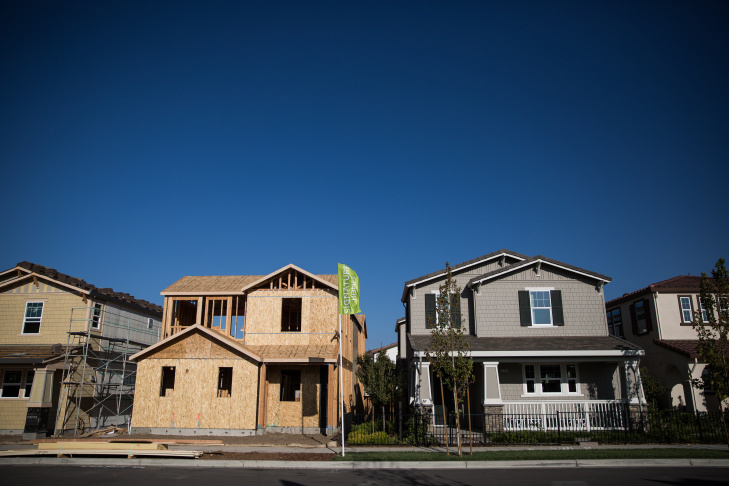 New homes under contruction alongside finished ones in Mountain House, California. As a master-planned community, Mountain House has a mountain of debt that they can only service by building more homes – despite their uncertainty of their water supply. 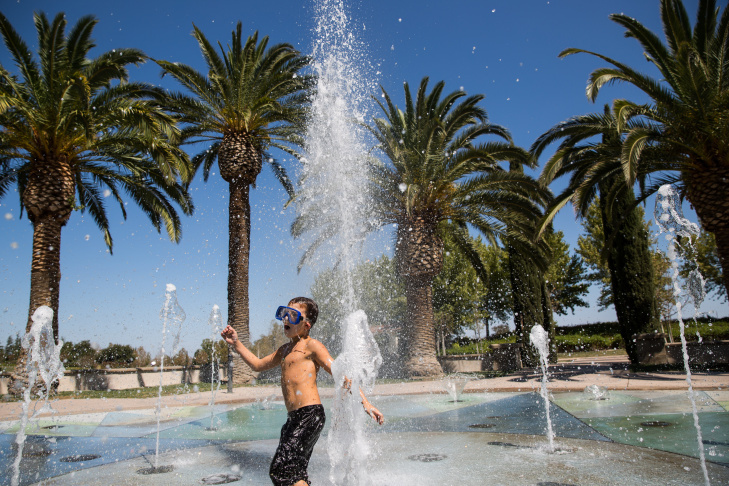 Wyatt Cofer, 7, plays in a splash park in Mountain House, California. 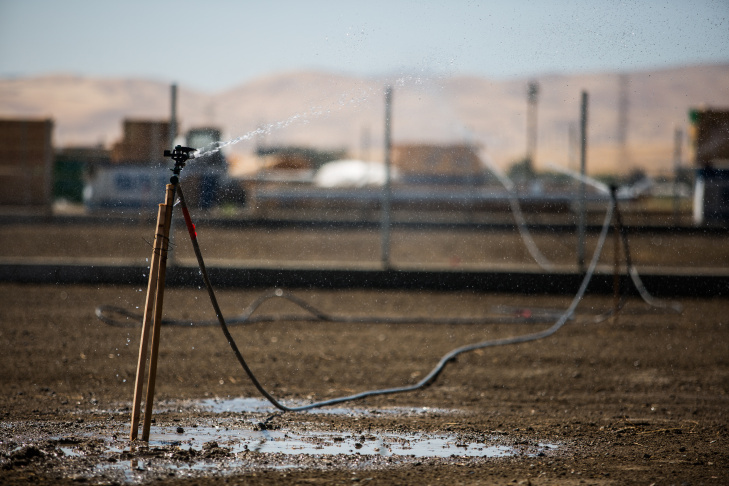 Water percolates into soil during pre-irrigation of one of Fisher Ranch's alfalfa fields on Tuesday, Sept. 1, 2015 in Blythe, Calif., which is part of the Palo Verde irrigation district. 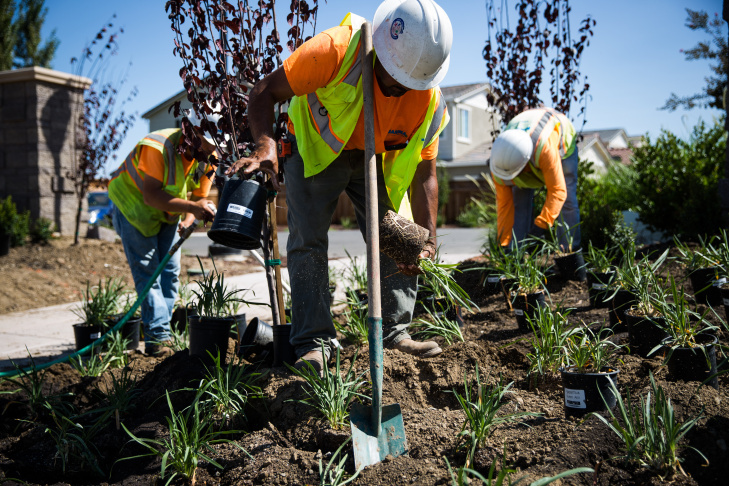 New landscaping is planted alongside new homes in Mountain House, California. 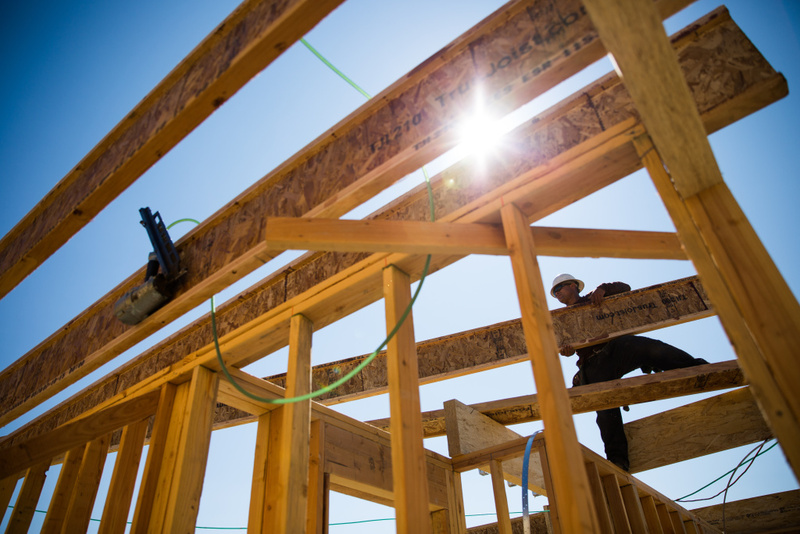 As a master-planned community, Mountain House has a mountain of debt that they can only service by building more homes – despite their uncertainty of their water supply. 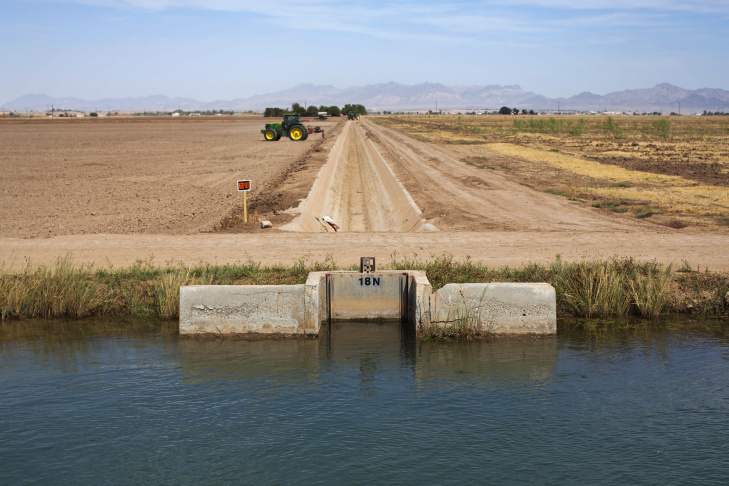 A Palo Verde irrigation district canal brings water from the nearby Colorado River to a field in Blythe, Calif. Farmers with the most senior California rights in the Colorado River let water go by, leasing it to the Metropolitan Water District in a 35-year deal. 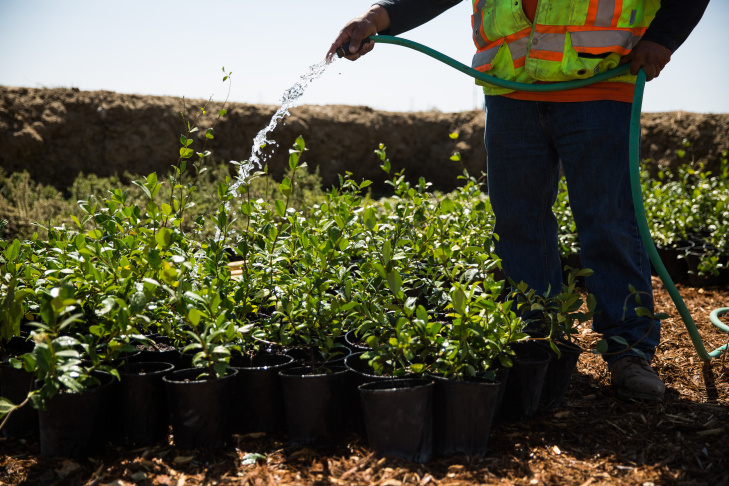 Felipe Villalobos waters plants waiting to be planted in new landscaping in Mountain House, California. As a master-planned community, Mountain House has a mountain of debt that they can only service by building more homes – despite their uncertainty of their water supply. Sprinklers prep lots for hew home contruction in Mountain House, California. As a master-planned community, Mountain House has a mountain of debt that they can only service by building more homes – despite their uncertainty of their water supply. 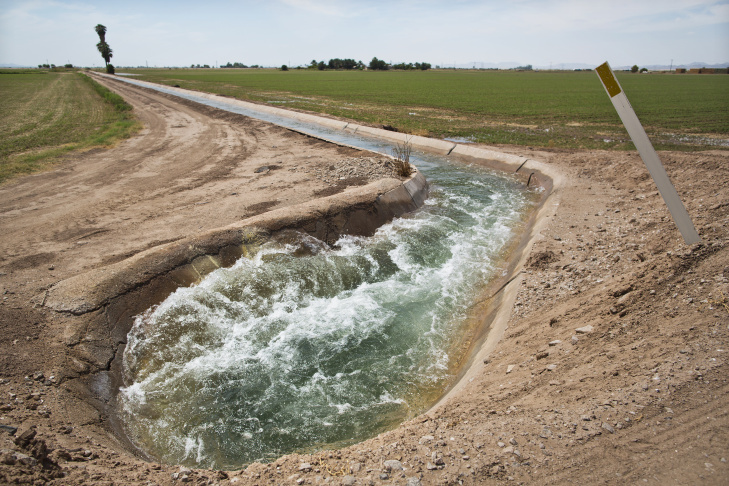 A cement drainage ditch returns unused water into a Palo Verde irrigation district canal. Palo Verde’s rights are so senior they’re not even quantified; they’re trusted in part because they share what they take, returning water to users downstream. All week, we've been looking at how our relationship to water will likely change in the hotter, drier, more populous California of the year 2040. Today, we look at water rights; who can use water and how much. Much of California's arcane system of water rights stretches back to the Gold Rush. Basically, people who first claimed access to a water source have the first right to use it. It's a seniority based system: older claims trump younger ones when water is scarce. But can a 19th Century approach to water allocation survive in the 21st Century? As it is now, too many people lay claim to shrinking water supplies in California. It's also the starting point for an awesome new book by Paolo Baciagalupi. In "The Water Knife," Baciagalupi imagines a permanently thirsty Southwest, not unlike the one some NASA scientists have predicted. One protagonist, Angel Velasquez, is a fixer for the water authority in Las Vegas. As a “water knife,” he leads assault teams into neighboring towns to take water for his wealthy patrons, all under the guise of court orders and "senior water rights." “But we're supplying a hundred thousand people! You can't just turn off their water,” cries a small town water manager, plaintively. “Judges say we've got senior rights," Angel said. "From where we stand, you're pumping some crappy junior water right that you bought secondhand...This is water that should have come to us a long time ago." Is this dystopia California’s dark fate? To understand who will control rights to water in the future, it’s worth understanding how those rights came about in the past. In California over a century ago, you could make water yours with a note nailed to a tree. San Francisco did that, and took what it wanted. The Los Angeles Department of Water and Power and thousands of farmers, miners and business interests did something similar. Today those pre-1914 senior water rights are top of the heap. Then after 1914, the state started granting permits and licenses to use water, creating junior rights holders. 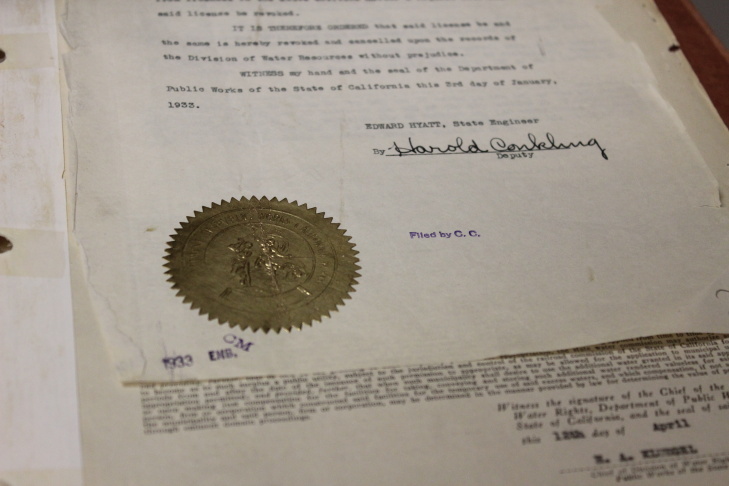 The oldest of these permits, yellowing, with golden seals and real ink signatures, live behind the doors of a special fire-proof safe in the beige, modern Water Rights Records Room in Sacramento. 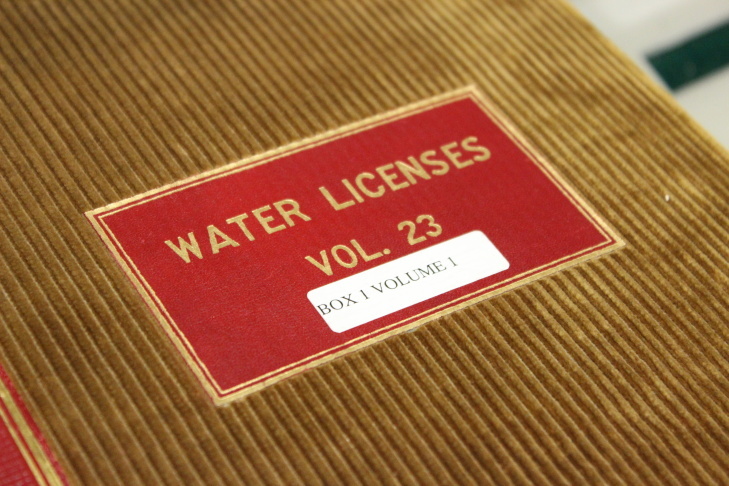 A volume of post-1914 water rights kept at the state's Water Rights Records Room. Photo by Molly Peterson. 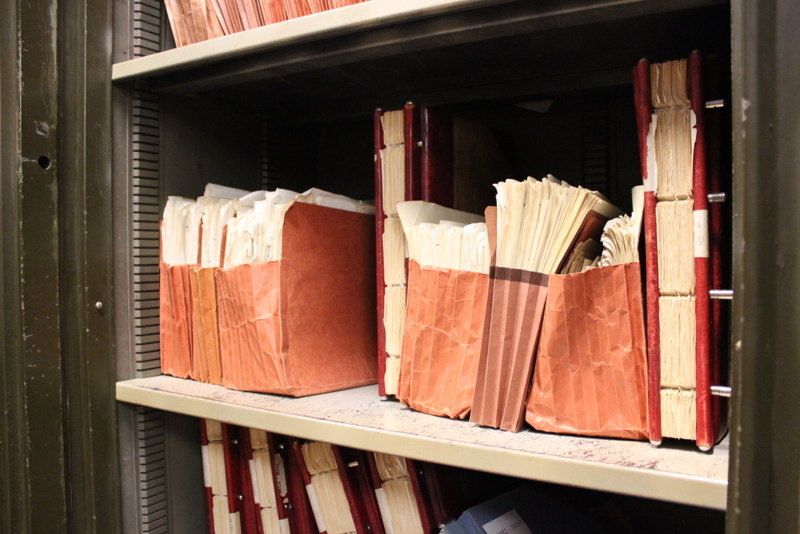 “Every agency has a treasure trove. This is ours,” says Kathy Mrowka, the state’s water rights enforcement manager. This trove holds problems, too. These junior paper rights claim five times as much water as the state has in a given year. To make matters worse, the state’s data about senior rights holders is limited, outdated and sometimes just wrong. It’s against this backdrop that the State Water Resources Control Board this year — for only the second time ever — has curtailed senior water rights because of drought. Nearly 9,000 junior rights holders and several hundred senior rights holders in the Sacramento-San Joaquin River Delta are feeling their limits. Holders of those senior rights aren’t happy. They say the water board lacks authority to curtail their rights – and they say cutbacks threaten the state’s stability. Twenty years ago, San Joaquin Valley’s Mountain House arose from land that had held alfalfa, sugar beets, and beans. Developers of the planned community secured water from the Byron Bethany Irrigation District, which had senior pre-1914 rights. But now the state has ordered Byron Bethany’s pumps shut off. 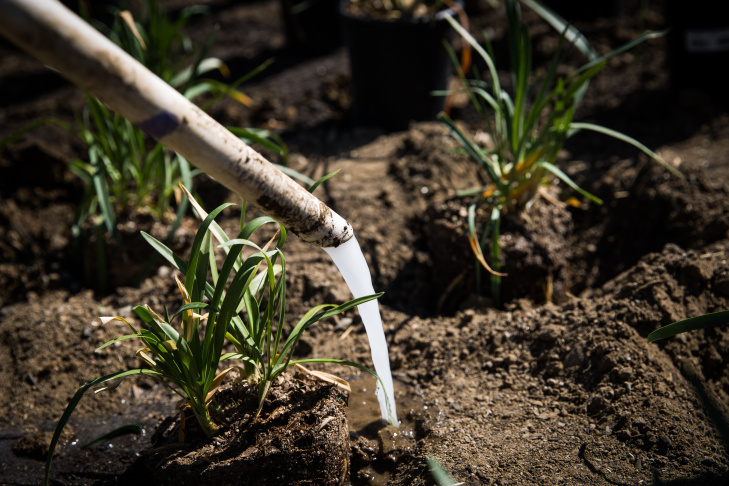 That irrigation district has joined legal action against the state over the cutbacks. Such litigation can take years. In some ways, this town is a stand-in for the state of California. Mountain House needs water now. So Pattison says his district’s paying double to replace the water it lost on the open market. “I can’t say that we even have the budget for it,” Pattison says. In part that’s because Mountain House is only a quarter occupied so far. 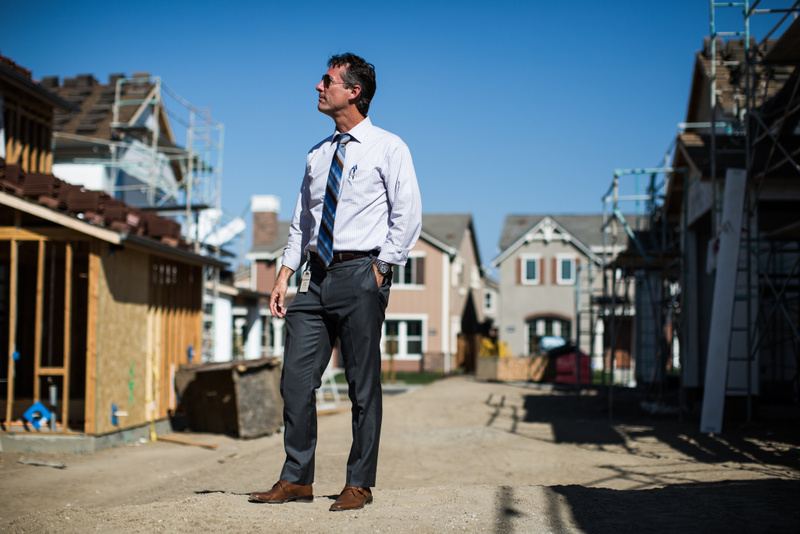 The planned community’s half-million-dollar homes are attractive in Northern California. But Pattison says it needs more residents to make services affordable, and so it’s even more important that his town has a reliable source of water for stable growth. Walter Cruz works on a new home in Mountain House, California. As a master-planned community, Mountain House has a mountain of debt that they can only service by building more homes – despite their uncertainty of their water supply. Photo by Max Whittaker for KPCC. Tom Howard, the executive director of the State Water Resources Control Board, admits there are problems with the state’s management of water rights. The water board has undertaken a first fix to that limping system, stepping up reporting, inspections and other monitoring for how much water is used. A second fix lies in the state’s constitution, which mandates water use be reasonable. 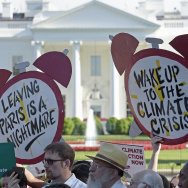 “Reasonable means in light of the available water, reasonable in light of the competing demands for the water, reasonable in light of the effects that diverting the water may have on the natural environment,” says Brian Gray, an emeritus law professor UC Hastings. But what’s reasonable is changing. UC Hastings emeritus law professor Brian Gray says that California's water use must be reasonable, and courts have decided that what is reasonable can change over time. 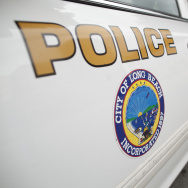 Photo by Molly Peterson/ KPCC. Gray says that means how we use water needs to get more efficient. Are water markets a fix? 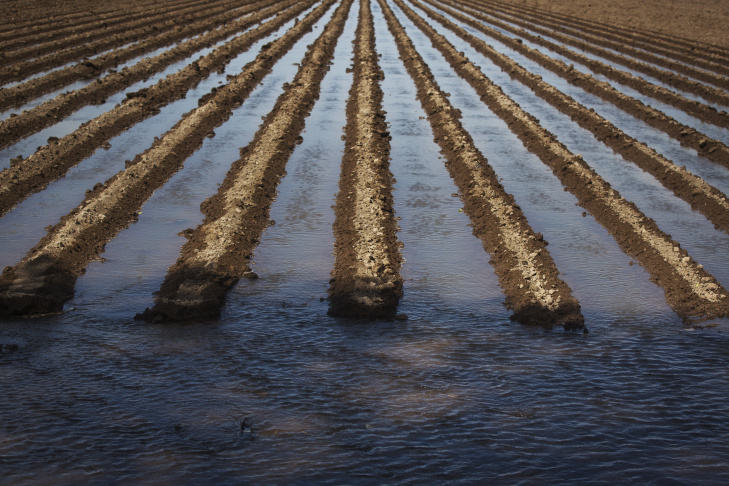 A third fix for California’s broken water rights system is a more robust water market. Active trading would enable rights holders to sell, buy, and move water around. As a result of its Millennium drought, Australia has implemented real-time measurements of how much water it uses. Waterfind now runs Australia’s online market for water. Campbell says markets can help use water more efficiently. “Having a market that everybody has access to, no matter how much money or how much land they have, means there’s an equilibrium that’s naturally found within the market,” he says. 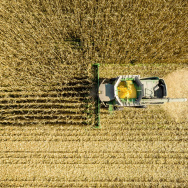 Australians decided trading rights was a good strategy for adaptation to a drier future. Such a strategy might be possible in Southern California as well. In Blythe, just this side of the border with Arizona, farmer Bart Fisher checks an irrigation gate. “This is ours,” he says. “We leave some there,” he says, pointing to a bypass canal. Bart Fisher runs Fisher Ranch Corp. in Blythe, Calif. near the Arizona border. In addition to alfalfa, Fisher also grows melons that go to stores like Costco and Sam's Club. Photo by KPCC's Maya Sugarman. Fisher is flooding a future alfalfa field. But Palo Verde is a checkerboard of brown: 29 percent of fields here are fallowed. Farmers with the most senior California rights in the Colorado River let water go by, leasing it to the Metropolitan Water District in a 35-year deal. Palo Verde’s rights are so senior they’re not even quantified; they’re trusted in part because they share what they take, returning water to users downstream. “It kind of makes sense that Met[ropolitan] would be drawn to us like a magnet during the times they are short,” Fisher says. 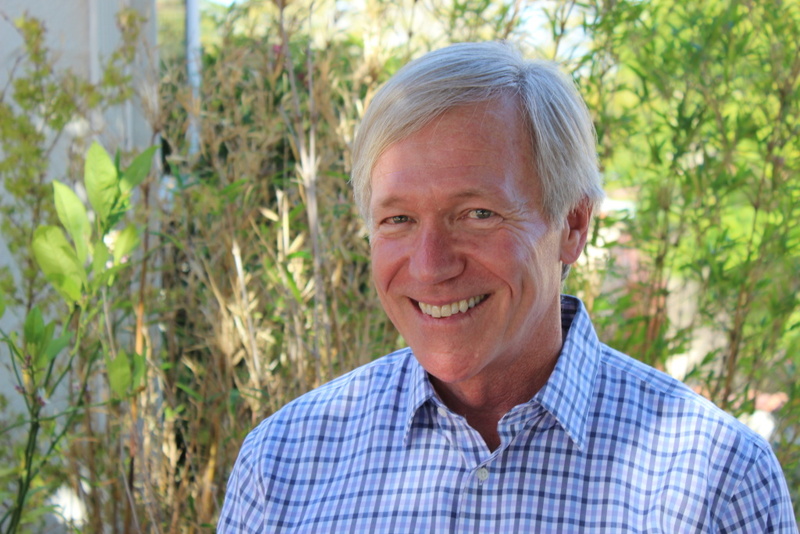 Fisher says Palo Verde’s deal with Metropolitan acknowledges a hard reality – that California cities have power, money, and need in dry times. Palo Verde farmers may not have all the water they want, but at least they’re setting their own terms to sell their rights, unlike California’s senior water rights holders in the Delta. 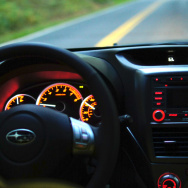 “It’s really incumbent on us to be as cooperative as we can to secure our own future,” he says. 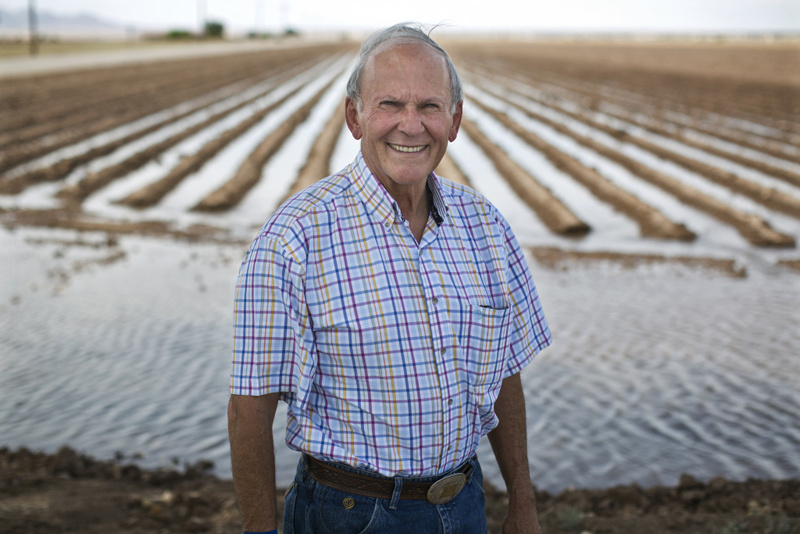 What Palo Verde farmers are trying to avoid is a total overhaul of the water rights system – a further fix proposed to make rights more equitable. This story has been updated to reflect that Alex Campbell, not Alex Marshall, works for Waterfind USA.